Ready to discover your best health? Bring your family and reach your fullest potential together! 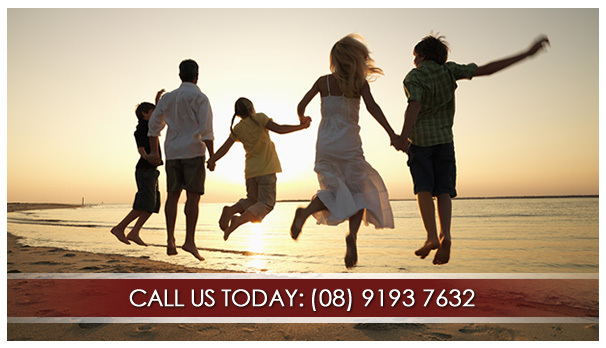 We want to see you and your family at Kimberley Chiropractic Clinic and help you attain your best health. Through chiropractic care, we remove any interference getting in the way of your healing. This allows you to heal thoroughly, feel your best, and live your best life. Through our combined services at our office, our Broome chiropractor Dr Clay Blight will try to give you all that your body needs for true health. We believe true health is about education, chiropractic care, proper nutrition and exercise. Chiropractic Care. Focusing on higher health promotion for your best life. Nutritional Guidance. Giving your body what it needs to thrive. Health Talks. Sharing ways you can enhance you and your families health. Health Challenges. Encouraging you to be the best you can be.